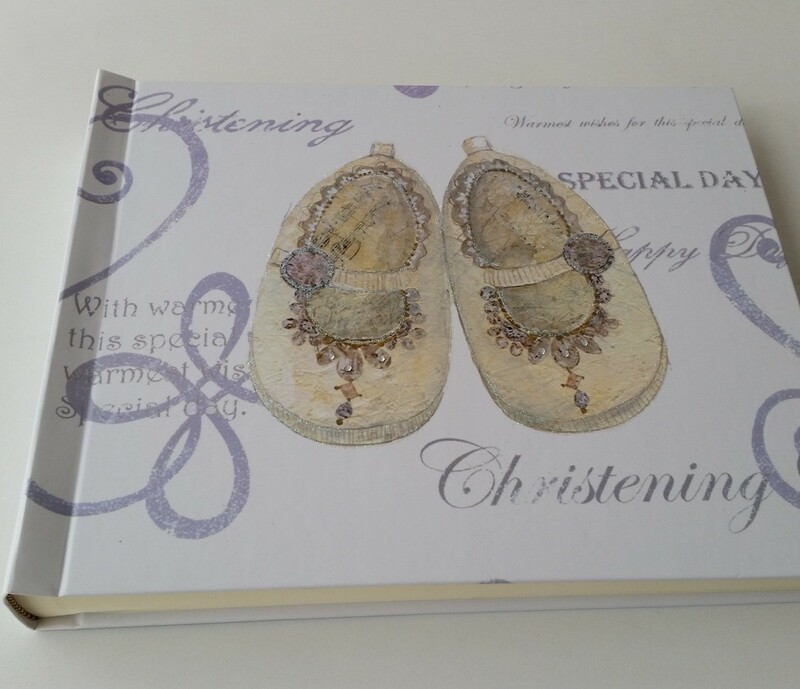 Christening Day Shoe Design Signing Book with Diamantes is a Beautiful High Quality Hand Finished Signing Book. The Ultimate in Style! NEW DESIGN. Each book is 30cm x 22cm with 20 pages, which are blank for guests to write their special messages onto. This hard backed signing book is bound with white organza ribbon to add those stylish finishing touches. The book has a cute pair of traditional Christening Shoes in stylish neutral colours with diamante decoration & glitter. On the front of the book there is a printed caption saying Christening.